Contracts get a bad wrap. But the gift of a contract really is the kindest thing you can do for those you work with. Contracts are just there to make sure you are on the same page by literally getting on the same page. So, now that you know why contracts are important, how do you write one? Before we get into the nitty-gritty, why should you trust what I say? Hi! I’m Kiffanie Stahle, founder of the artist’s J.D. A place designed to add ease to the legalese of running your creative business. In addition to running the artist’s J.D., I am a practicing attorney in California. 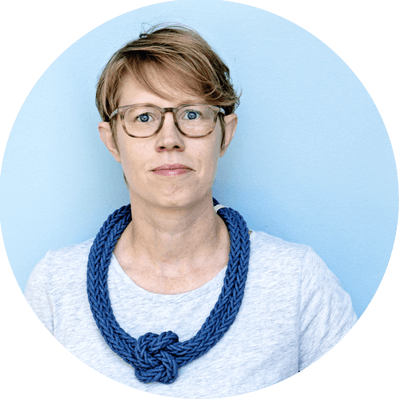 And day in and day out, I’m helping my clients run successful, thriving creative businesses (with all their legal ducks in a row). Luckily for my clients, I’m a total contract nerd. I’m that girl that goes off to the corner to read the fine print of everything. I’m also the girl that reads contracts for fun. I regularly search the federal court databases for contract lawsuits and read (and learn from) the contracts that end up getting sued over. So needless to say, contracts are my jam. And I’m here to inject a little ease into the process of creating a contract for your creative business. 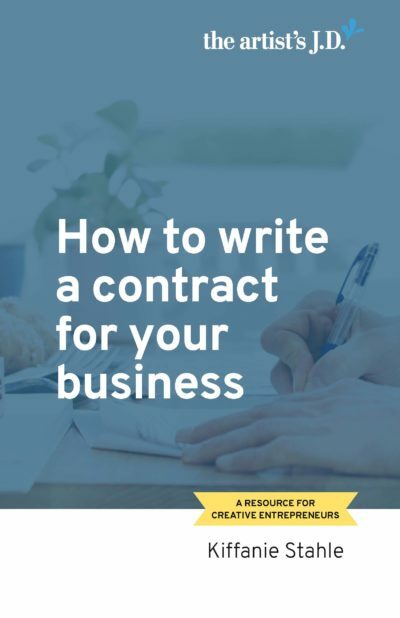 Below you’ll find the full text of a more than 4600-word resource designed to help add ease to creating a contract for your business. But I know that you might want to absorb it on your own schedule. Enter your email below and I’ll send you a PDF copy and an audio version so that you can read/listen on your own schedule! Need to hit pause on this resource? Read/Listen on your own schedule! Enter your information below to download a PDF version of this resource to read anytime. You’ll also receive an audio version to listen on the go. Yes! Please give me access to the resource bundle and send tips and resources to my inbox. I'll pass! Please give me access to the resource bundle only. And how you put together your contract creates the picture of the kind of relationship you want to have. These beautiful pieces are created by weaving thread of various colors together. When you stand close and look at them, it’s just a jumble of colored threads. 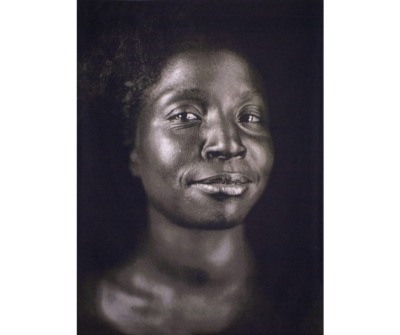 But when you stand back and look at them, it’s a portrait. Contracts are the same thing. When you look up close, they are just a jumble of words strung together. But when you stand back, you see the kind of relationship that’s being created. Sometimes this relationship is one-sided. And everything in the contract favors the person who created it. Sometimes this relationship attempts to strike a fair balance. And gives each side some things they want (but not everything). Ultimately, having a contract and using it makes you the kindest business person around. Part of the reason contracts get a bad rap is because most contracts are frankly, terrible. They are 20-pages long and stuffed with dense legal jargon. Honestly, they are contracts that my lawyer brain loves (because they are just a big puzzle to figure out). But that no one else in their right mind would read. Good news for you, contracts don’t have to look like that to be valid. I will do a one-hour headshot photo session. And provide you with 10 high-resolution images that you can use for web or print purposes. And you will pay me $500. Yes, that sounds great. I’ll pay you $500 for our hour session and the 10 print/web high-resolution photos. And then you start executing on your promise to exchange things of value (your services, her payment). Legal jargon is not a requirement. If the client changed your offer, then you’ve got a counteroffer. And now it’s up to you to accept your client’s offer or modify it again. However, only four of these are likely to come up in your business. If a contract will last more than a year, then it must be in writing. So if something will last for 13 months or two years, then it must be in writing to be enforceable. And that’s because they could only last a few months or they could last several years. If you are renting, leasing, or purchasing a studio, warehouse, or other building or property, the contract must be in writing to be enforceable. Heads up to all of you with wholesale accounts! If your wholesale account is buying more than $500 of your products in a sale, it must be in writing to be enforceable. In legalese, these are called surety contracts. And you might have encountered them when we were young or when your child turned 18. Where this comes up in business is when you create a brand-new LLC. Because it has the same credit history as an 18-year-old kid, not your credit history. So a bank, landlord, or credit card company will allow your LLC to do something, but only if you personally guarantee it. And if the LLC can’t pay, you are on the hook to pay from your personal accounts. 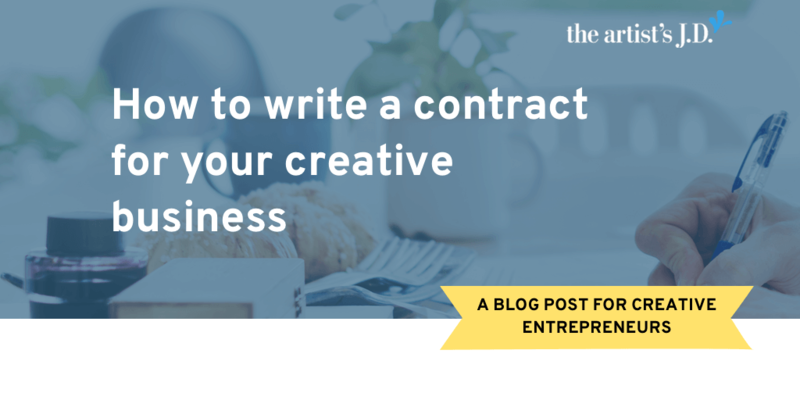 If your contract must be in writing, that doesn’t mean you have to have a formal written contract like you might be picturing in your head. The best format is the format that makes sense to convey the information needed to get everyone on the same page. 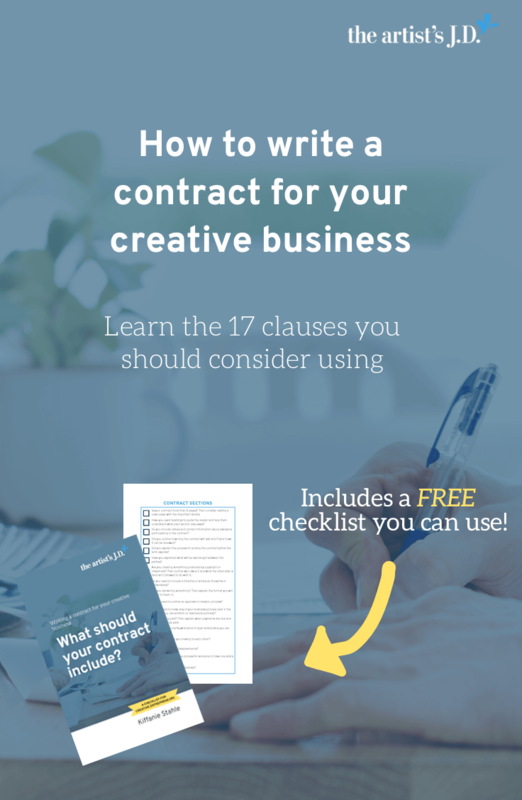 Even if you aren’t in one of those six situations where a contract has to be in writing to be enforceable, you still want your contract in writing. Because the whole point of having a contract with those you work with is to make sure you are both on the same page. And the easiest way to get on the same page is by literally getting on the same page. I also don’t want you to leave this resource and turn straight to Google and type in “web design client contract template”. And then download multiple contracts, compare them, and mash them together. Either way, they are trying to create a contract that’s good for everyone (which we know means it’s good for no one specific person). In my law practice, I represent several high-end bridal jewelry designers. And while their contracts tend to cover many of the same things, they aren’t all 100% alike. Because each of them works with their bridal clients differently. Some will accept gemstones that the client purchases, some will not. Some will accept heirloom gemstones, some will not. Some will only customize pieces in their line, some will create one-of-a-kind custom pieces. And because of this, their contracts are different. So what should your contract include? First off, remember that we are aiming for Chuck Close. Your contract should weave together words to form an image of the kind of relationship you want to create. You want all the pieces of your contract to work together to form an image. For example, if you are a web designer maybe you have issues with clients getting you the files that you need to begin work. So you build into your contract that the client files are due by X date. And you’ll deliver your work by X date. And if the client is late, then you will deliver your work no sooner than X days from when the client providing you the files. This puts the burden on the client to get things to you by a specific date and doesn’t mean you need to work late nights just because they didn’t get you the files on time. Once you’ve completed your brainstorm session, you’ll start creating your contract. First off, that format you are picturing in your head isn’t legally required. You don’t have to start off with those WHEREAS sections, it doesn’t have to be long, it doesn’t have to contain legal jargon. The format of a contract is not one of our three things required for a valid contract. During law school, I worked at a small firm that helped creative business owners. And once I was given the assignment of updating a commercial photography contract. My supervising attorney and I met with the client to learn what was (and wasn’t) working with his current contract. One thing that wasn’t working, was that he had recently discovered that the “Social Media Rights Granted” section wasn’t being properly updated every time. And that instead of giving the proper rights, he’d be giving incredibly broad social media rights to at least 10 clients. How we think this happened is that when he had got the contract originally, all the sections that needed updating were highlighted yellow. But at some point, the highlighting was removed in the “Social Media Rights Granted” section. And so when he got a new assistant, she didn’t realize that this needed to be changed each time. So she never updated it. Another thing that wasn’t working was that he was having issues with his clients understanding what he needed from them when and who was responsible for hiring different roles for the day of the shoot. After meeting with him, it was obvious to me that changing up the format of the contract would solve some of his problems. So that’s how I created the contract. The long and the short of it was that my supervising attorney wasn’t impressed with how the contract “looked”. And he didn’t let me present that contract to the client. I decided that day, that I was going to use that format when I started my own law firm. And that’s exactly what I do. And clients tell me that not only does it make their administrative lives easier, but that it drastically improves client relationship. Basically, you want to cover those things that will assure that your relationship runs smoothly. And then you use the rest of the contract to cover the legal nitty gritty that is there for when your relationship hits a road bump. 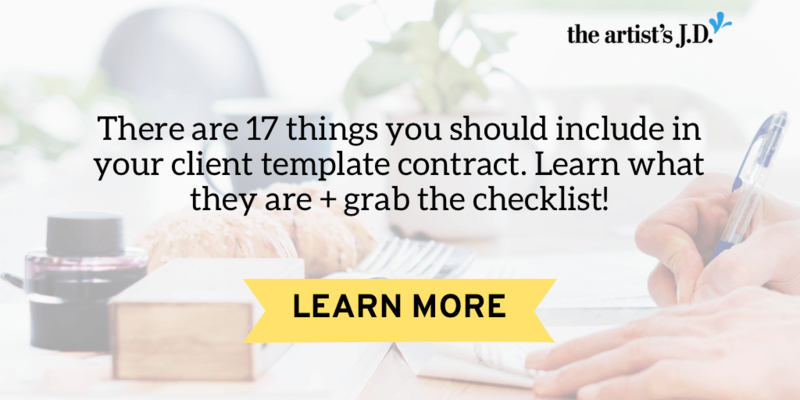 Want a checklist to help you create your contract? It’s included in the downloadable version! Enter your information below to download a PDF version of this resource to read anytime. (And the checklist is included on Page 23!) You’ll also receive an audio version to listen on the go. As I explained above, when I write contracts for my clients, I start with a cover page. I like to give all the contract sections a 1-2 word heading that describes what is going on in that section. Then, when I need to refer to another section of the contract, I bold the text that includes the heading. Once each deliverable (as outlined in the Delivery Schedule) is received, Designer will submit Client an invoice. Client will pay this invoice within 10 days via PayPal. This helps weave the sections together to form the picture of the contract. The information in this section is pretty simple. All you need to do is explain who is involved in the contract and their contact information. 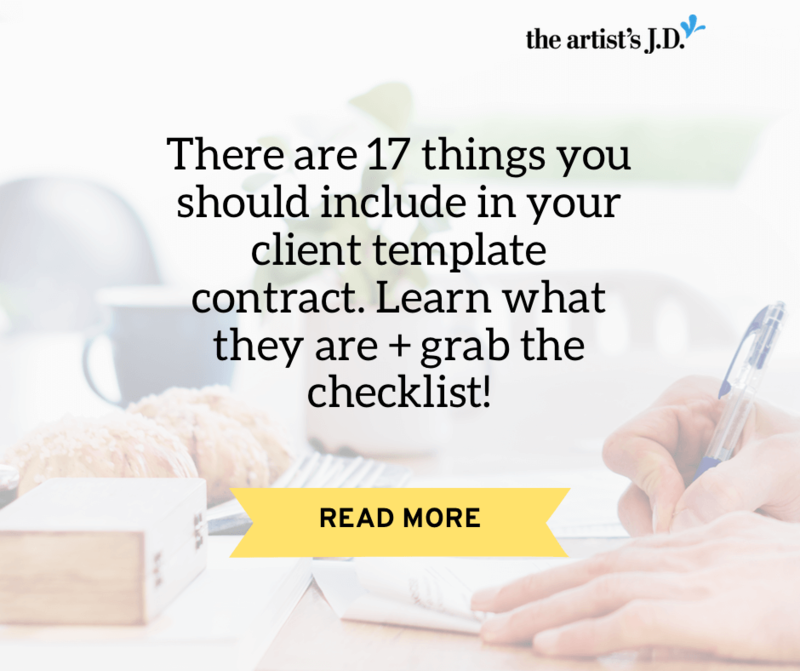 And if your client/collaborator/person you are working with is an LLC or corporation, then you should fill in this information, not the information of your contact person. You’ll explain how long the initial term of the contract will be and if it can be renewed. What this section looks like will vary a lot. For example, if the contract is a licensing deal and you are creating a physical product then you’ll want a guaranteed period where it can’t be canceled. And a time period to sell off any remaining inventory. If the contract is a commercial illustration project, then you’ll have a “kill” fee included if the client decides to change direction. If you are providing on-going social media services, then you might only need 14 days notice to end the relationship. One of the requirements for a valid contract is mutual consideration. This means that both of you need to promise to give something of value to the other side. The bottom line is in this section, you need to define what the exchange will be. If you are creating or exchanging something of a creative nature, you need to define who owns the intellectual property. So in this section, you’ll spell out who owns it. But more importantly, you’ll explain what the person who doesn’t own it can do with it. If you are collaborating, you might be co-owners. If you are the illustrator, you might retain the copyrights and grant them a license to use your illustration on their website for two years. If you take photographs, you probably will retain the copyrights and grant them a license to use the photographs for specific types of online and/or print usages. If you give the copyright to the client, you’ll probably want to have the client license back the rights for you to use it in your portfolio. If there are deliverables or the project will go on for a while, then you’ll want to provide a schedule. For example, you have three weeks to create the first draft. Then they’ll have a week to provide edits. And you’ll provide them a final draft a week after they send their edits. Or you will deliver everything by a specific date. If you are sending them a deliverable, then you should define what format it will be in. three painted 6-foot long surfboards? PDF file formatted for printing according to their specs? This might be included in Schedule or it’s own section. Either way, you should define what, if any, feedback or edits you’ll make to the deliverables. if they don’t provide edits within a week it’s assumed approved? must they accept the custom piece as long as it matches the sketches you provided? Some service providers have policies for their businesses. And you’ll use this section to spell out your company policies. For example, if you are a wedding photographer or videographer, you might have a policy about cancellations/reschedules. If you are a graphic designer or copywriter, you might have policies about how many rounds of edits you will do (this might be covered in Approval too). If What’s Being Exchanged includes money, then you should define what that payment process looks like. Do they need to give you 50% up front, with 25% due when the first draft goes out and the remaining 25% when the final goes out? How many days to do they have to pay after the invoice is submitted? Do they pay for any expenses that you incur? Is this a royalty situation? If so, how often do they pay and what do those statements look like? 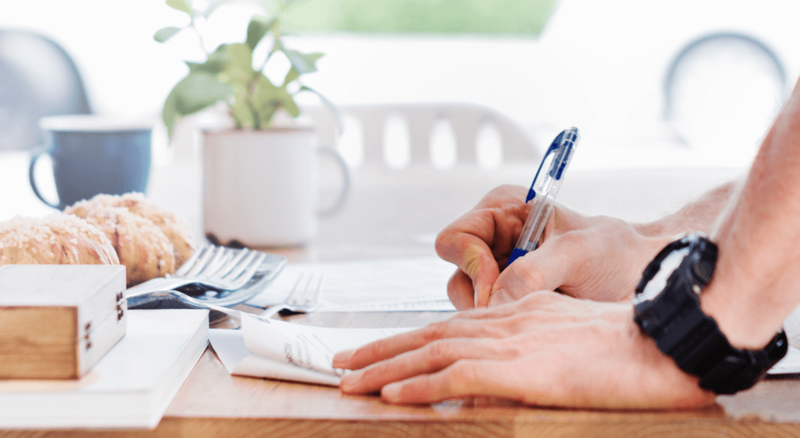 If you aren’t an LLC or corporation, it’s best practice to include that you are an independent contractor and that the contract does not result in an employment relationship. This is for both your protection and for the protection of the other side. But, this means if you are the one getting paid, you are responsible for your own taxes and insurance. Why you care about this is to protect your own business. So to help explain that you didn’t intend to form a partnership, you might include a section explaining that the contract doesn’t create a partnership. You’ve probably seen a section in contracts called Representations and Warranties. All this section is doing is outlining the promises you are making to each other. This includes things like you are promising (representing) that you own the copyright to the work product you are giving them, or that you are free to enter into the contract. If your client is providing collateral that you use in your designs, you might want them to promise that they have the rights to use this collateral. Use this section to outline any promises you are making to each other. If for some reason the two of you can’t agree on what the contract says, or if one of you is failing to live up to the promises you made in the contract, how will disputes be resolved? Do you want to talk to a mediator? Do you have a mutual friend that you want to listen to both of you and then make a decision? I often use the clauses provided by California Lawyers for the Arts, because their mediators and arbitrators are trained to assist creative businesses. If you are not based in California, check to see if your state’s Volunteer Lawyers for the Arts organization has a mediation service and sample clauses. You also might have come across a section called Assignment. This section outlines if, and how, either of you can substitute (assign) someone to perform your side of the exchange. Finally, the contract ends with what we lawyers call “boilerplate” language. It’s the things that don’t vary much from contract to contract. Once you’ve created your contract, how do you sign it? Good news, you don’t have to mail them a printed copy. Or have them print, scan, and sign. Instead, an electronic signature is totally valid. Again, it’s all about what service you (and those you are working with) will use! Compare this checklist with your current contract. Is anything missing? 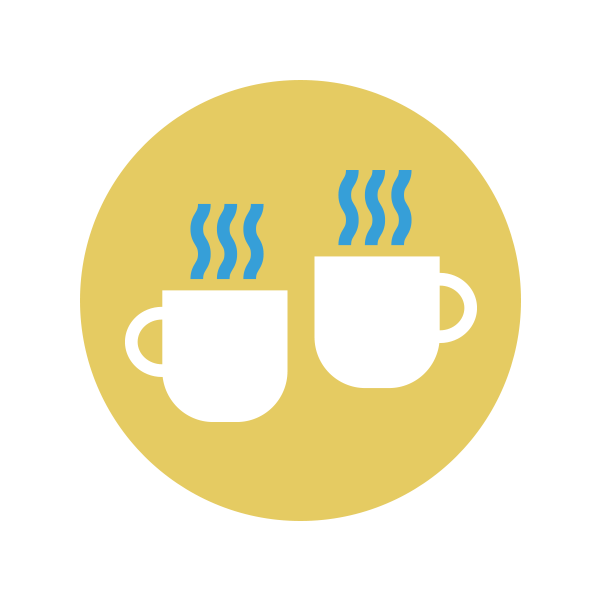 Spend 5 minutes brainstorming problems that could arise in your client process. Then brainstorm how you might use a contract to prevent them (or pre-determine an outcome) if they happen. 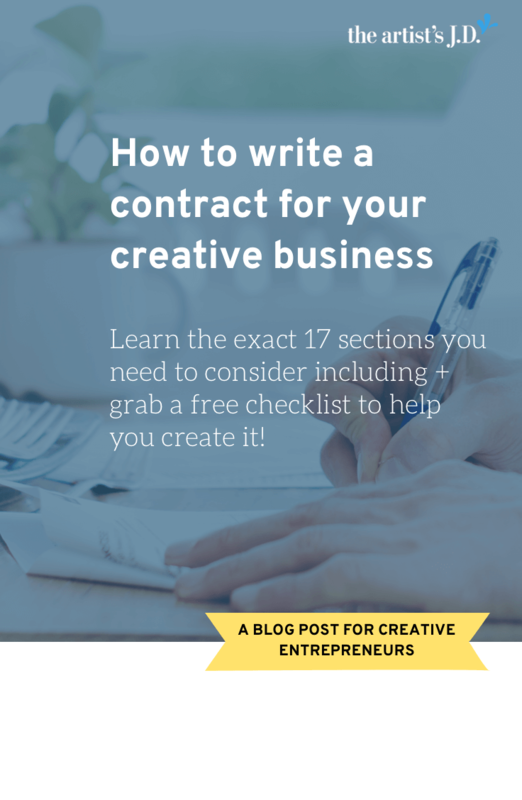 And that’s how you create a contract for your creative business! 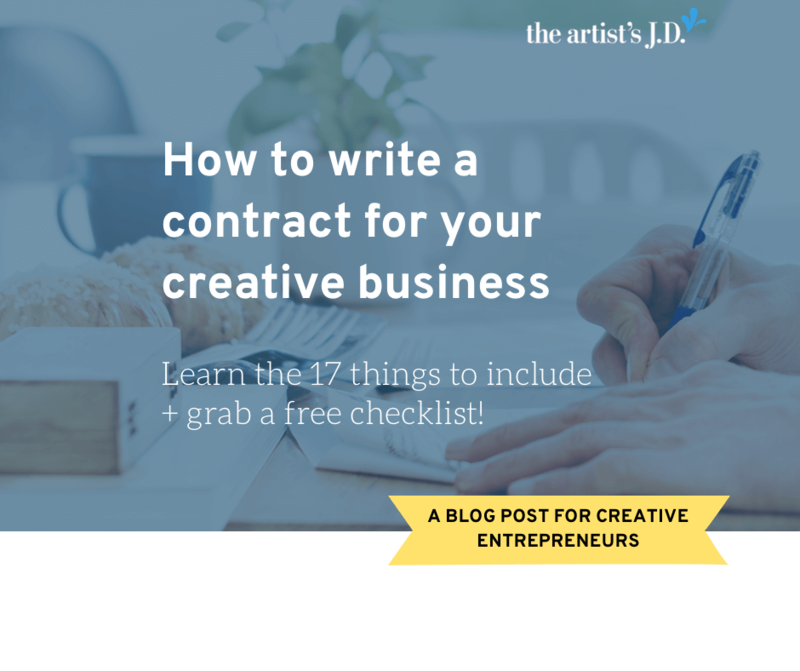 Do you feel more confident drafting contracts for your creative business now? What aspects still make you nervous? Why should you trust what I say?